Women’s bodies have special needs, and they require unique care and attention. 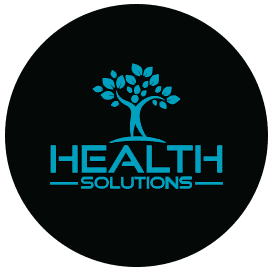 At Health Solutions, our team of trusted physicians and women’s health experts provide a wide range of services for women in Wellington, Florida and the surrounding communities. From birth control to annual exams, you can rely on the Health Solutions team for all your gynecology needs. Why do I need regular gynecology exams? Gynecology is the branch of medicine that focuses on women’s reproductive health. Starting in your 20s ― or when you become sexually active ― regular gynecology exams are essential. At this type of appointment, your physician can identify potential medical problems, diseases, cancer, or sexually transmitted diseases in their earliest stages. Whether or not you plan to become pregnant someday, regular gynecology exams help you understand the changes that occur in your body over time and how to take charge of your sexual and reproductive health. According to The American College of Obstetricians and Gynecologists (ACOG), you should have an annual gynecology visit to ensure your optimal health. What happens at my gynecology appointment? Since gynecology covers a wide range of services, what happens at your specific appointment is unique to your health needs and concerns. Depending on your age, stage in life, or needs, you might also discuss things like pregnancy, menopause, birth control, your menstrual cycle, or other concerns that relate to your female health needs. What are the benefits of gynecology services? Gynecology services comprehensively address your female health concerns. Your reproductive health is a critical part of your overall wellness as a woman, and it can influence many different areas of your health as you age. If you can track and monitor your reproductive health, you’re much more likely to avoid complications that have to do with your hormones, your menstrual cycle, fertility, or menopause. At Health Solutions, your long-term wellness is the top priority. The expert team helps to empower and educate women by providing the most advanced treatment options and the highest quality of care. To learn more about the gynecology services at Health Solutions, call to book an appointment today.